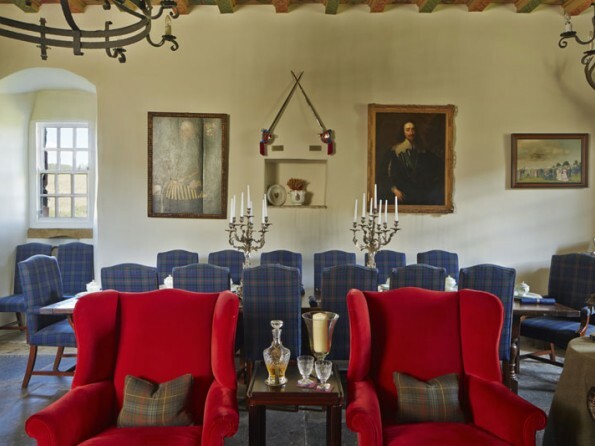 Originally built in 1560 and now stunningly renovated using traditional materials, this beautiful Scottish castle enjoys a history as rich as the countryside in which it sits. Glenisla's magnificent scenery is the perfect setting for a luxurious break. 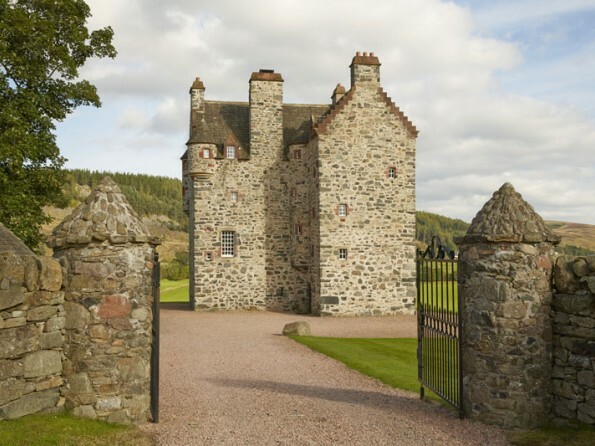 Forter Castle is a wonderful venue, whether you're planning a lavish weekend, a memorable event or a week of fresh air and outdoor pursuits. 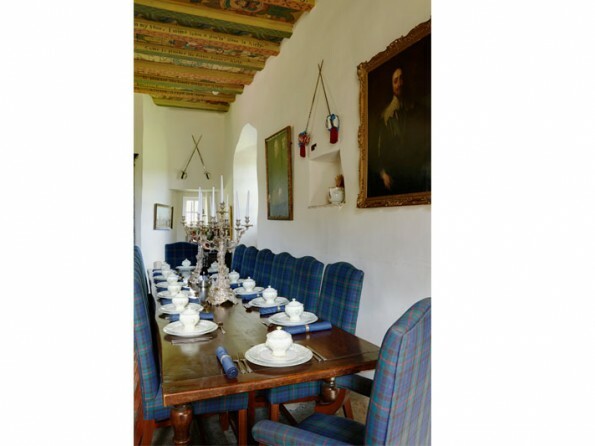 The private chapel makes the castle an exceptional setting for a wedding, and with Mount Blair, Glen Isla and Glen Shee on your doorstep this is also a superb base for walking, hunting, shooting, fishing, skiing and flying. 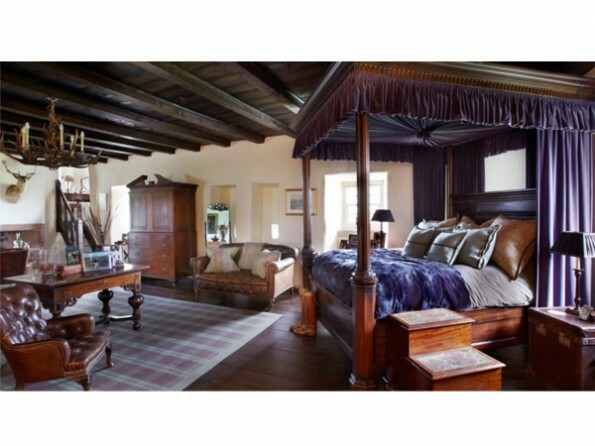 The accommodation itself has been transformed by award winning designer and owner Katherine Pooley into a haven of comfort and indulgence. 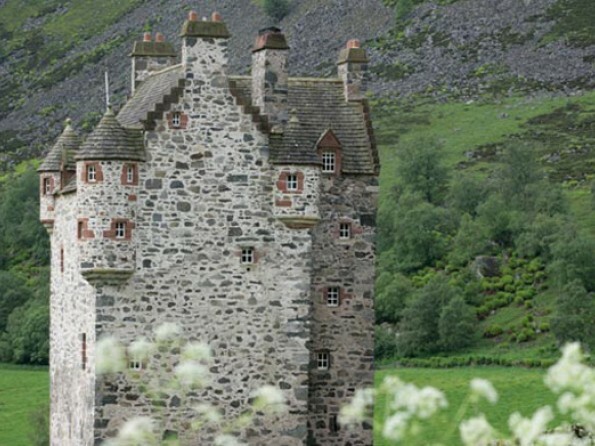 The castle spreads out over five floors, each reached by a stone spiral staircase. This is really an extraordinary place both inside and out. This is a beautiful part of the world and there is a huge amount to see and do. 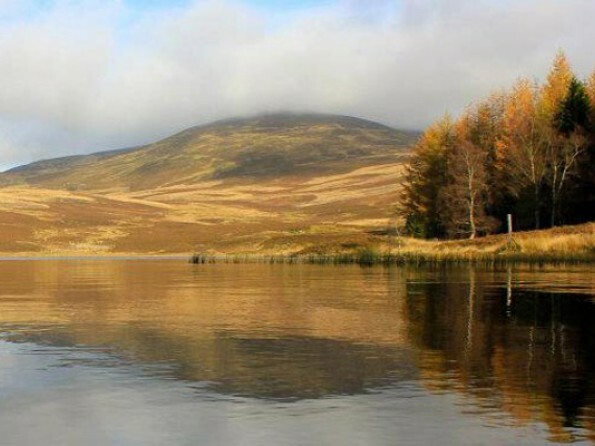 The countryside is made for horse riding and some of the walking and cycling trails are sensational - tackle the 60 mile Cateran Trail or take things a little easier on the Killiecrankie, Bealach, Clunie, Craigower, Moulin and Edradour Walks. The woodlands are filled with wildlife, the Highlands Games are a world-renowned spectacle that take place throughout the year and you can`t miss Lunan Bay Beach, a lovely stretch of sand backed by dunes and framed by low cliffs. 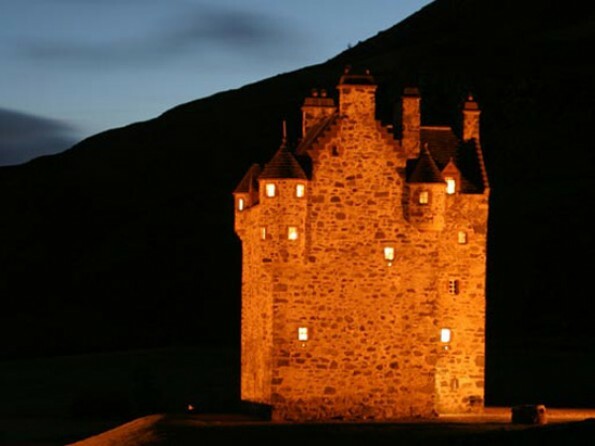 Out and about you can visit Blair Castle, Scone Palace and Glamis Castle and Gardens, or you could frequent some of the local shops, restaurants and whisky distilleries. The airports nearest the castle are Edinburgh, Glasgow, and Aberdeen. These are served by a variety of carriers including British Airways, British Midland, Easyjet, and Ryanair. You can hire a car from any of these airports and there are detailed driving directions on the website. Helicopter transfers can be arranged. 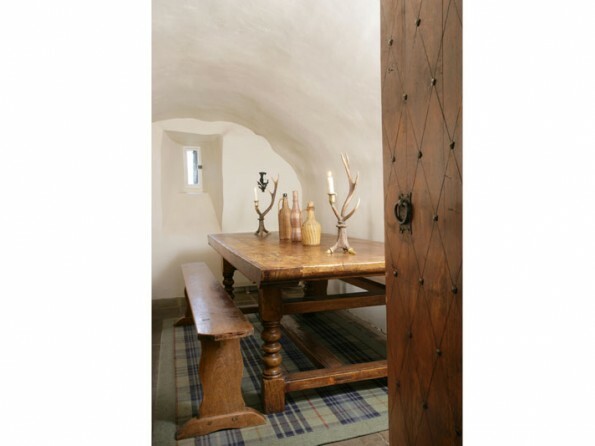 The focal point of the accommodation is The Great Hall which spans the entire width of the castle. 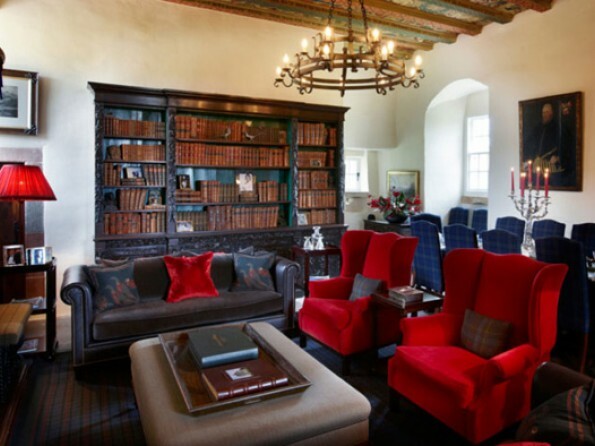 Furnished with traditional Scottish furniture and antiques from all over the world, this room has a log fireplace, a wall of mahogany shelving displaying antique books, a dining area, an elaborately painted ceiling and under floor heating. 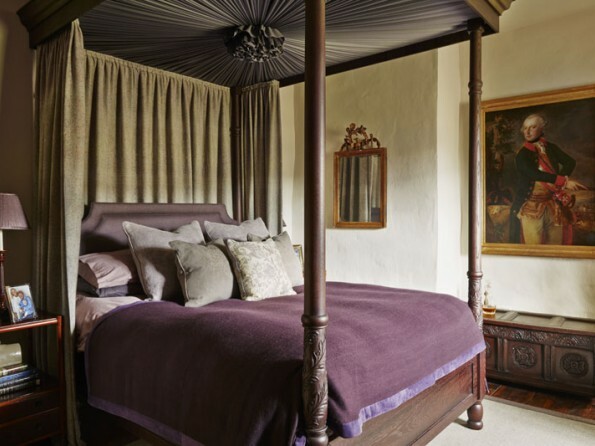 There are six bedrooms, some of which have four-poster beds and en-suite bathrooms, and all of which having lovely views and are sumptuously decorated in their own individual style. 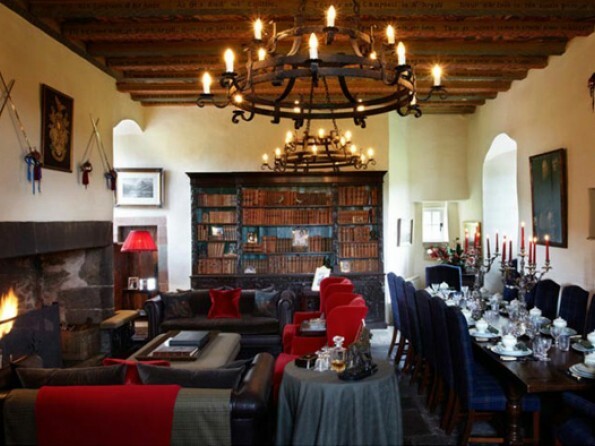 And the castle is equipped with an extensive library of books, a DVD player and movie collection, and a great selection of board games and CDs, as well as an iPod dock. 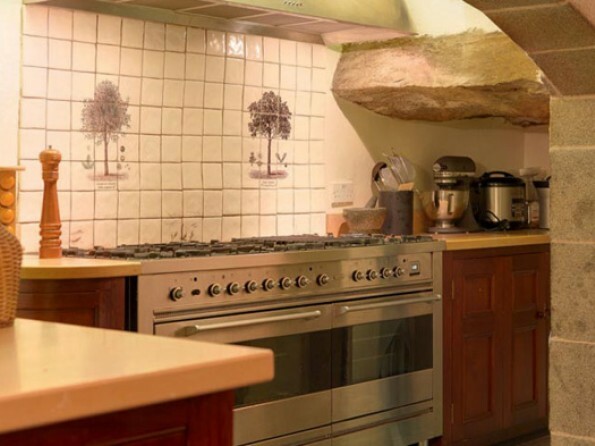 On the ground floor you will find a well equipped kitchen, a cosy breakfast room, a cellar, a cloakroom and the chapel. 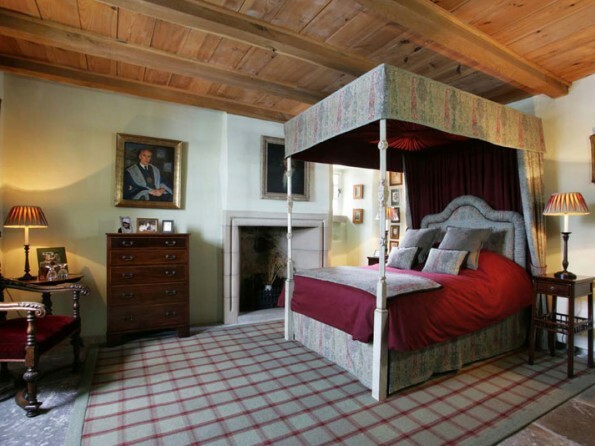 Forter is set within 3 acres of private grounds and in the summer you can play croquet or boules in the garden. On your doorstep are miles of countryside waiting to be explored and there are four top-of-the range mountain bikes for guests to borrow. 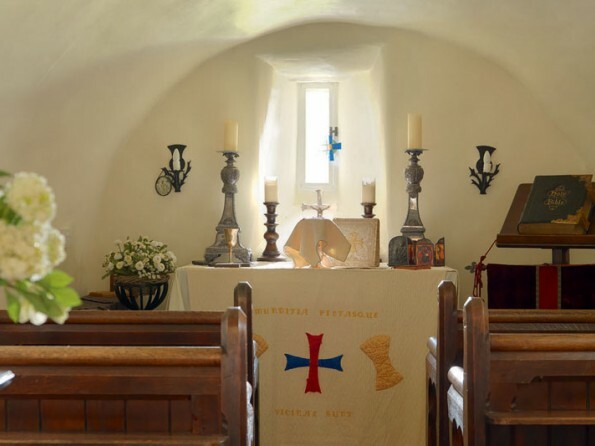 Forter is the perfect location for an intimate highland wedding and the castle has its very own chapel. We recommend sixteen as the perfect number of guests and can help arrange catering, Ceilidh bands, harpists, singers and bag pipers. Changeover day is Friday and weekend breaks run from Friday 3pm to Monday 10am.